These two confronting supporters of “Sameh Bayda, 18, of Guildford” were photographed outside Parramatta court when Sameh appeared “…accused of collecting three documents, two in Arabic and a third in English that was allegedly produced by terrorist organisation Al Qaeda in the Arabian Peninsula in preparation of a terrorist attack. “A former Hillsong Church minister who became a motivational speaker faces domestic violence charges after he allegedly assaulted his wife in a ‘fit of rage’ on New Year’s Eve. Police from The Hills Local Area Command in Sydney’s north-west arrested Pat Mesiti at his home about 11pm on Thursday. “‘The accused was heavily intoxicated and in a fit of rage over a family issue,’ Sergeant Michael Plass said. Mr Mesiti was charged with assault occasioning actual bodily harm and common assault. Police have sought an apprehended violence order on behalf of his second wife, Andrea. Mr Mesiti has not yet been required to enter a plea to the assault charge and it is not known if he will oppose the AVO application. Fifteen years ago, Mr Mesiti was one of Australia’s most prominent evangelists. He had his own television show and had risen to become a national director of the Pentecostal church movement Australian Christian Churches. But in 2001 the church leadership at Hillsong discovered he had been sleeping with prostitutes. He was stripped of his licence to minister. His first marriage fell apart. ‘I was basically struggling with a sexual addiction,‘ he told the Christian magazine Sight in 2006. Two years later he told the New Zealand Herald he had ‘lost everything’ following the revelations. Mr Mesiti went on to become a motivational speaker and self-described “prosperity activist” who now instils people with ‘millionaire mindsets’. ‘Not to brag, but I am a world-renowned prosperity and mindset coach with over 2 million of my books and products sold worldwide,’ he says on his website. His stated ambition is to create 10,000 millionaires within his lifetime and he has several speaking appearances slated for 2016. Mr Mesiti could not be reached for comment on Saturday. The sensational ban is introduced at Söndrum school in Halmstad. Use of the flag is now only allowed on the national day or when foreign students are invited. In an internal letter to school students and their parents who were sent out just before Christmas, the school principal writes that “no other use of the Swedish flag is allowed”, according to Nyheter idag. So the Swedish flag is offensive to a Muslim. What else might be offensive to a Muslim? 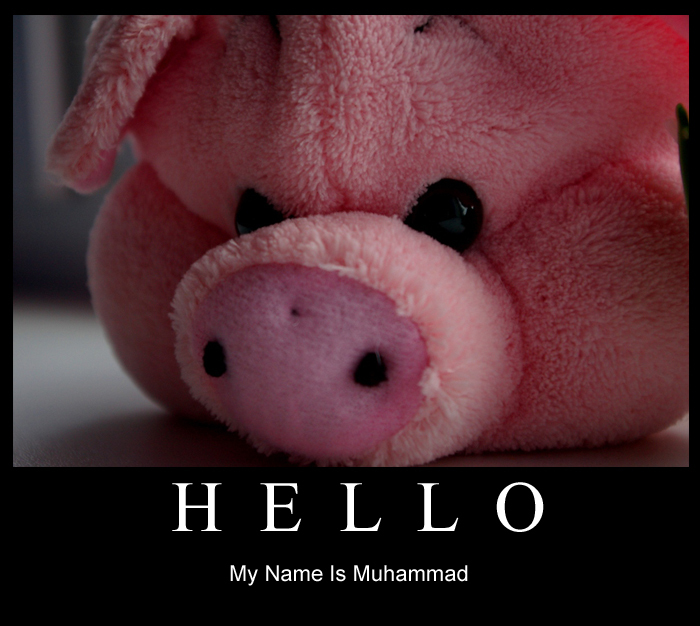 IS THIS PIG OFFENSIVE TO A MUSLIM because it is a pig or is it becaue it is named Mohammad or is it both? IS THIS FLAG OFFENSIVE TO A MUSLIM with its sword of death? It seems like only Muslims and their beliefs and culture are worthy of saving and not to be offended! However, I digress, the banning of the Swedish flag is bad enough but also Swedish Muslims will burn their flag and ask for the flag to be changed as that cross on the flag is offensive to them. Here is a closing commentary on this whole mess we find ourselves in today. This is the second generation Swedish Muslim that is offended by their national flag! They aren’t the newly arrived Muslim immigrant but SECOND GENERATION! They were born and reared in Sweden. How can this be? Is there something being taught in the mosque and the home that makes the young Muslim anti-Swedish? Secondly, are these offended people born and reared in Sweden true Muslims? It is all too often told the non-Muslim that ISIS is not Islamic. So is there a difference between Islam and Muslim? Therefore is it reasonable to ask, are these offended people in Sweden truly Islamic Muslims? Are those in Saudi Arabia who behead and cut off limbs of people for various crimes, true Islamic Muslims? Are those in Iran that cry death to Israel and the USA true Islamic Muslims? This is not being racist but being truthful and practical. If Islam is so great WHY aren’t these Muslims rushing to Saudi Arabia, Iran, Pakistan, Bangladesh, Iraq, Afghanistan, Egypt, Libya, and the United Arab Emirates to name a few?! For that matter why aren’t these Islamic nations opening their borders and arms to welcome these Muslim refugees? NO, rather they pour into non-Muslim nations where they CAN BE OFFENDED? How long will this idiocy continue? 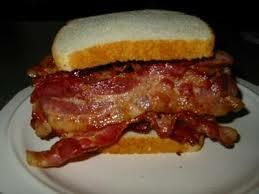 Waiter, bring me a Bacon sandwich! HAVE YOU HEARD OF THE CALIPHATE CURVE? “Islamic Supremacist organizations like ISIS can be graded on the “Caliphate curve”. The Caliphate curve is based on how quickly an Islamic organization wants to achieve the Caliphate. What we describe as “extreme” or “moderate” is really the speed at which an Islamic group seeks to recreate the Caliphate. “We are not at war with ISIS. We are at war with everyone on the Caliphate curve. Not because we choose to be, but because like Hitler’s Thousand Year Reich or Communism’s vision of one world under the red flag, the Caliphate is a plan for imposing a totalitarian system on us to deprive us of our rights. “The original Islamic expansionism was so devastating not because it managed to seize control over the hinterlands of Arabia, but because it conquered and subjugated civilized cities such as Alexandria, Constantinople, Jerusalem, Athens and Delhi. ISIS envisions repeating these conquests and more, but if it succeeds it will not be because of its military strategy, but because it targets have been colonized. WHAT PHONE PLAN ARE THEY ON? When you see the photos of all these refugees entering Europe do you wonder (1) where the women and children are? and (2) what mobile phone plan are they on! ?